Online: Click to get up to 50% off plus free shipping on women's sneakers. Online: Get free shipping and returns on orders over $75. In Store & Online: Sign up for emails and receive printable coupons, discounts and coupons when available for Puma Stores. Online Coupon: Use this Puma coupon code: SPRING20 for an additional 20% discount on already reduced items. To redeem in store: Print the whole page or show on smart phone to the cashier. They will need to see code. 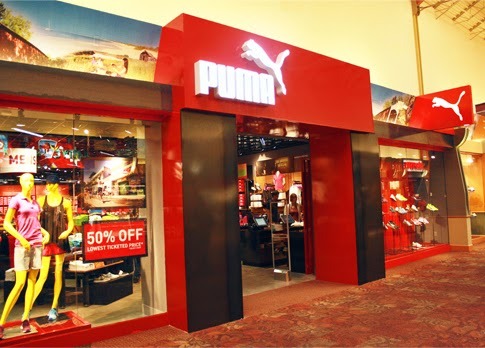 Print email and receive 30% discount on your next purchase, not valid at puma outlet stores. Puma is offering 50% off storewide for memorial day weekend at their outlet stores, print out this coupon for an extra 10% off. Print out the whole email and get 15% off all women's footwear, apparel, and accessories at puma outlet.